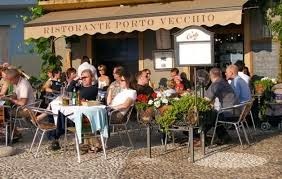 CHIAVARI, Italy - The road to living this Italian life has been many things – exciting, challenging, frightening and most of all baffling. It has made me question just about everything I know or thought I knew. Some call it culture shock and maybe it is, but I think it is something else, something I don’t have a name for. There are four distinct phases to culture shock: honeymoon, frustration, adjustment and mastery. The “honeymoon” period is when everything in Italy is beautiful and fascinating. Then the business of real life sets in and it’s at that point that the “frustration” starts as you begin to realize that you really don’t understand as much as you thought you did. But that phase soon morphs into “adjustment”, which I think means you start to figure things out. Then comes “mastery”, when you enter into the Italian mentality and can understand how the Italians think. And that is where I part ways with the idea that what I have is a case of culture shock and here’s why. I’ve already told you the story about my very first apartment in Italy, the “two” bedroom apartment that only had three rooms up in S. Maria Quezzi. It was in that apartment that it all began, and it began with a problem with the gas hot water heater in the bathroom. Whenever I took a shower or a bath, and sometimes even in the middle of the night, I smelled gas. So I called a repair service and within a few days a technician showed up. The technician spent about 20 minutes in the bathroom, and then he came out. He didn’t say much, he simply wrote out his bill, 100,000 lira, and I paid him. I was happy that the problem had been resolved so easily. Later that night I smelled gas again. He hadn’t fixed the problem at. The next morning I called the repair service and told them the problem had not been resolved. “Open the window,” said the voice. But it was what happened the following week that really confounded me. I had finally found work after chewing my nails in desperation for six long months wondering if I would ever work again. I was teaching English at a private school in Genoa. It helped that I had some teaching experience as I had worked as a volunteer at the Nationalities Service Center in Philadelphia teaching English to newly arrived immigrants. My classes were made up of people from around the globe, all with different linguistic challenges, so teaching in a mono-culture like Italy was actually pretty easy. 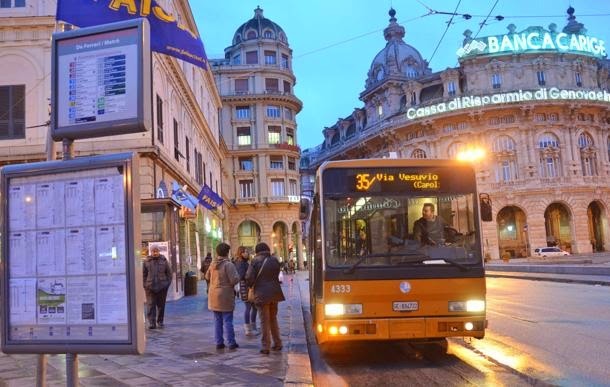 I taught from six until 9 PM and then I would catch the last bus to Quezzi, which is about a half hour ride up into the foothills above Genoa. Since the average winter temperature in Genoa is 50° F/11° C, I was surprised to see a snowstorm in progress when I left school one night about a week after the water heater incident. The snow was coming down pretty hard and there was an accumulation on the ground of about two or three inches. Barely a blip on the screen for someone who grew up in Syracuse, New York like I did, but which seemed to throw the entire city of Genoa for a loop. However the little traffic there was seemed to be moving, including the buses. My bus, the 87, was waiting in the piazza, motor running, ready to take me up to my three room 2 bedroom apartment in the hills. 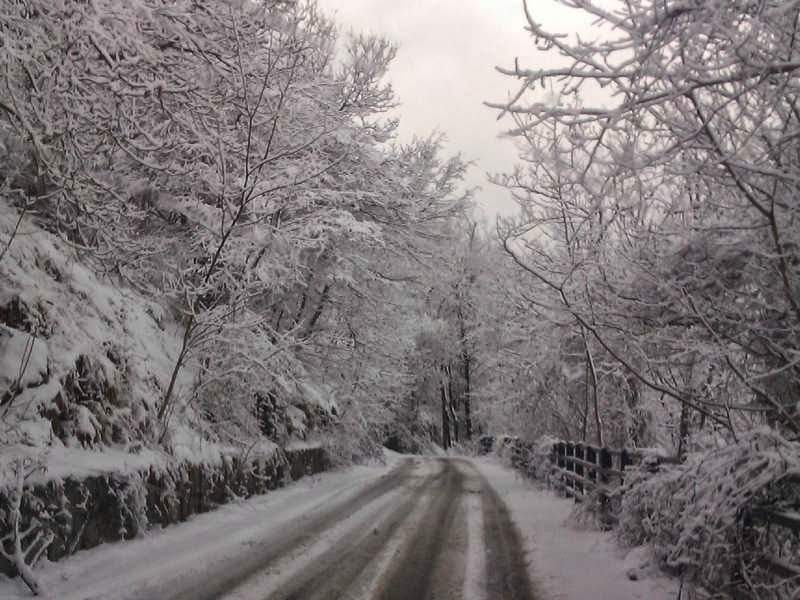 The snow continued to fall as we left the center of the city and started the climb up the narrow country road to our final destination, S. Maria Quezzi. The bus driver was not having an easy time of it. I could see him straining to see the road as the windshield wipers slapped back and forth in a heroic effort to clear a path of vision, however brief. The bell dinged. Someone was getting off. I looked out the window and could see no sign of civilization. Just blackness. I looked for the woman who had gotten off but she had disappeared from view, seemingly sucked into the snowy night. Now there were three of us left on the bus. Me and two other women. We started moving, but a few minutes later the driver pulled off the road onto a small area that looked like a place where cars could turn around. He turned off the motor, stood up and as he shrugged into his coat he said he wasn’t going any farther. This was it. The end of the ride. Please exit the bus. We were on a snow covered road on a steep hill in the middle of nowhere. There were no street lights, no lights of any kind and I didn’t have a clue as to where I was. I turned to ask the bus driver a question, and he was gone, sucked into the snowy night like the woman who had gotten off earlier. “No, no,” they said. And they too stepped out into the dark night and disappeared. I trudged up that hill alone that night. It must have taken me an hour or more to get home. I was frozen. My feet were frozen, Every bone in my body was frozen. All I could think of was slipping into a nice, hot bath, preferably with lots of bubbles. And then I remembered the gas leak. The problem with the gas leak was solved a month or so later when thanks to one of my students, a young lawyer, I found an apartment in the beautiful suburb of Genova Nervi. 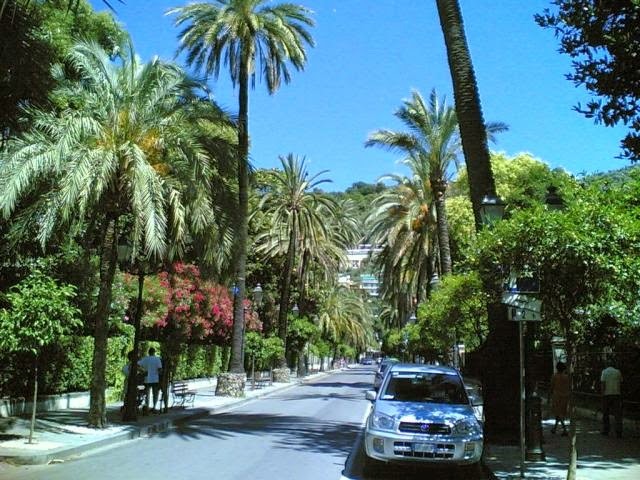 I was no longer in the hills but on the Viale delle Palme, a half a block from the sea, in a one bedroom three room apartment surrounded by beauty. As for the mystery of where everyone disappeared to that cold and snowy night, well that wasn’t solved for quite a long time. It was a year or so later that I learned that the hills along the road to Quezzi, and most certainly other parts of Liguria as well, are peppered with steps. Short cuts to the top. If anyone of the ladies, or even the bus driver had thought to tell me that simple fact I would have been home in about 20 minutes. But they didn’t. At first I thought it was meanness, or perhaps a dislike of foreigners or Italos like me who speak with an accent, but I don’t think that any more. I don’t know why they didn’t tell me. Maybe it was just plain indifference. I really don’t know. There are a lot of things I still don’t know, too many of them in fact. I hide it pretty well but the truth is I am confounded by Italian logic most of the time. I just don’t get it. They seem to always vote for complicated over simple, and seem to prefer it that way. Just to give you one tiny example, my bank in the States sends me one-page summaries of my accounts every month. My bank in Chiavari, which I have been with for 20 plus years, sends me four or five and sometimes more pages of words, small print, both sides of the page about who knows what every month for one, simple checking account. I didn’t think too much of it until I was applying for an apartment and when I gave my prospective landlord my financial documents, he looked at my bank statements and said, “this is it?” One page bank statements seemed a little dodgy to him and he refused to rent his apartment to me, afraid that I would not pay the rent. What I have learned from 25 years of living in Italy is that I don’t know anything. And I am always wrong. But I have also learned how to get around the problem. I just do whatever the Italians do even if it doesn’t make a lick of sense to me. So maybe it is culture shock and I have reached the final stages of “adjustment and mastery,” and I just don’t know it. At this point I am ready to believe anything. After all, this is Italy and anything is possible, right? Hello, I enjoy reading you blog, especially your recent nostalgic posts about your life in Italy, what you've experienced and learned in your 25 years. there. Your recent post about your first years in Rome sounds like the dream many have (I certainly did -- but mine was in Barcelona and then I couldn't find a way to stay there, sadly....). I found your blog because we're moving to Rappallo next month. Chiavari (the antique markets!) and Nervi are two of my ABSOLUTE favorite nearby towns - been going to Nervi for 20 years. 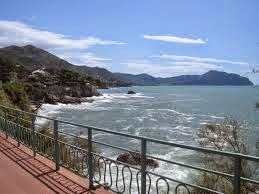 What do you like most about living in Chiavari, if I have that fact correct? Hi Michelle, welcome to the neighborhood. 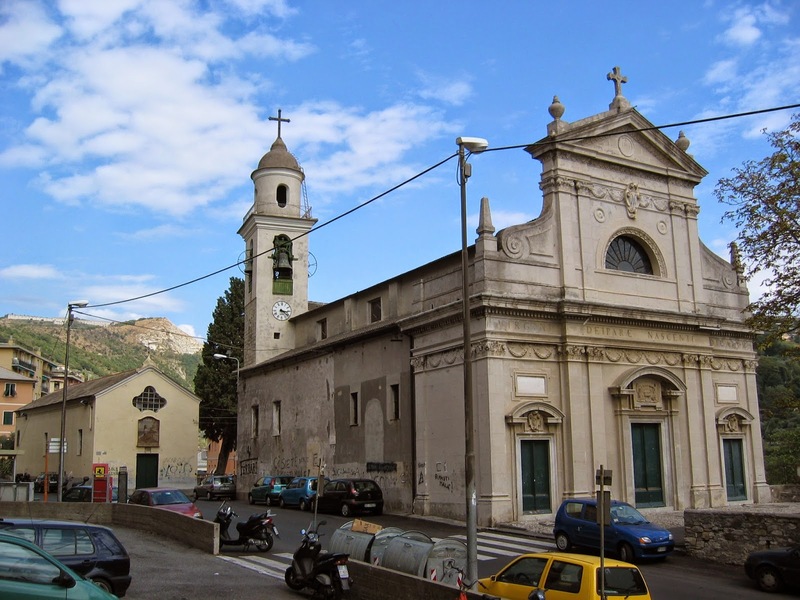 What I like about Chiavari is it is one of the few cities on the coast that does not rely on tourism. I like the fact that the city is compact and I can walk everywhere, there are a lot of restaurants, the shopping is good including quite a few bookstores and the people are nice. But I also like Rapallo and I go there quite often. The truth is I like Liguria, I like being by the sea and the mild winters. Good luck with your move, perhaps after you are settled we can meet for a coffee.